I had a Kitchen installed and The Cabinet Barn always sticks by their product no matter what..
We just had our granite countertops, purchased at Cabinet Barn and installed by Cody & crew, that were completed yesterday in our investment home in Mary Esther,FL. They are absolutely beautiful! We bought in-stock pre-cut countertops which are of excellent quality and they were professionally installed very quickly. What a difference it makes in the kitchen & baths. Thanks for a job well done - it was a pleasure doing business with Cabinet Barn! 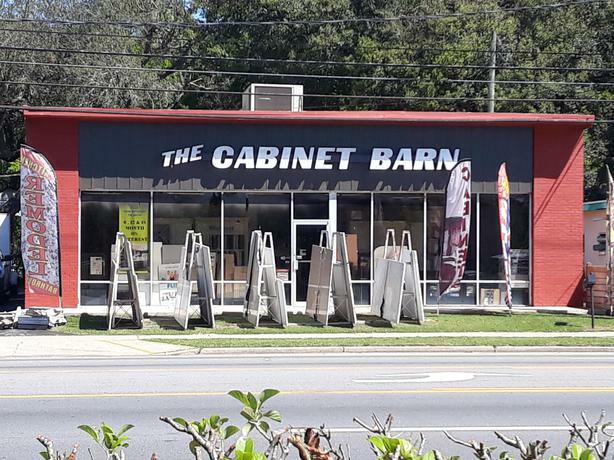 Everyone at the Cabinet Barn was soooo helpful! My bathroom cabinets are beautiful! A special thank you to Paul....could not have pulled this together without you! Thank you!!! I am one of your customers. I am retired from Corporate America and a part-time cabinet maker in Austin, TX. I recently expanded my business to include building kitchens and baths on flipped houses. The volume was too much for me to build all of them myself, so I looked for an alternative such as a RTA so I could add my own special touches. I found Cabinet Barn and Mandi James. 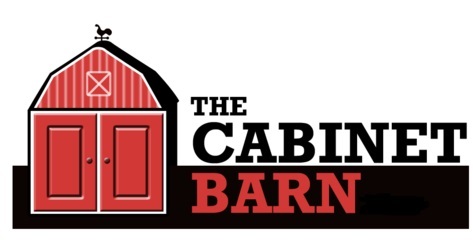 I wasn’t sold on Cabinet Barn when I started..but the quality of the product…the relatively quick arrival…and the customer service has me coming back. But….this email is about Mandi. I am pretty sure I was her very first customer when I ordered the first time, I know I was her biggest spend at the time…I asked her. I had no idea what I was doing and she was trying to help…in the end we made a GORGEOUS kitchen and bath…pictures attached. I have now ordered kitchen & baths #2 and #3. As soon as the architect gets done playing…we’ll order #4 and #5. #6 is still waiting on the offer to buy the property. Chuck, Mandi is a huge help to me. She has been extraordinarily responsive…except when you send her to the warehouse or out to measure a job. Seriously, you have a great employee and I couldn’t ask for better customer service. She offers suggestions, alternative solutions, better pricing ideas, multiple manufacturers and a sense of humor. I do enjoy giving her and Ethel-Ann a hard time. I wanted you to know that I am one very satisfied customer and if you move Mandi …well…you’ll hear from me again. CREATING VALUE ONE ROOM AT A TIME, at The Cabinet Barn we have strived to create value in your home. Since 2008 The Cabinet Barn has installed 1000's of kitchens, I don't have an exact count but it is a lot. Offering quality all wood cabinetry, granite and quartz countertops and various floor tiles and vinyl plank. We can install it all or you can do-it-yourself. It starts with designing your space to give you the beauty you desire along with maximizing your space and most importantly we try to get you the most functionality. Our scheduling is second to none. Having done this for so many years our start and end dates are very good. We like to complete jobs on time. We keep track of progress on your job every step of the way and once your complete kitchen remodel is close to completion we walkthrough and check everything to make sure it is up to The Cabinet Barn standards and you are happy with the completed project.... We offer AL-A-Cart pricing. You will see what each phase of the project costs and you pick what you want us to do and what you want to do yourself.